The Finishing Line Co.- PowderCoatToday! The Finishing Line Company -- Upstate New York's Premier Conveyorized Powder Coating Facility. The Finishing Line Co. is located conveniently between Rochester and Buffalo on NY State Route 5 in LeRoy, NY. We offer a wide variety of finishing services that can be specifically tailored to meet the diverse powder coating needs of our customers. In addition to our production facility for manufactures of metal products, we also specialize in short run and custom work in our large Batch Oven system. 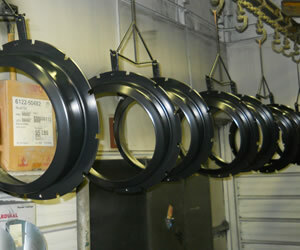 We offer high quality coating of parts, on time delivery, and competitive pricing with guaranteed customer satisfaction! 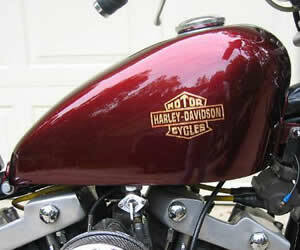 If it's metal, it needs coating ... PowderCoatToday... by The Finishing Line Co. Follow us.. Electrostatic powder coating is THE fasted growing method of product finishing!